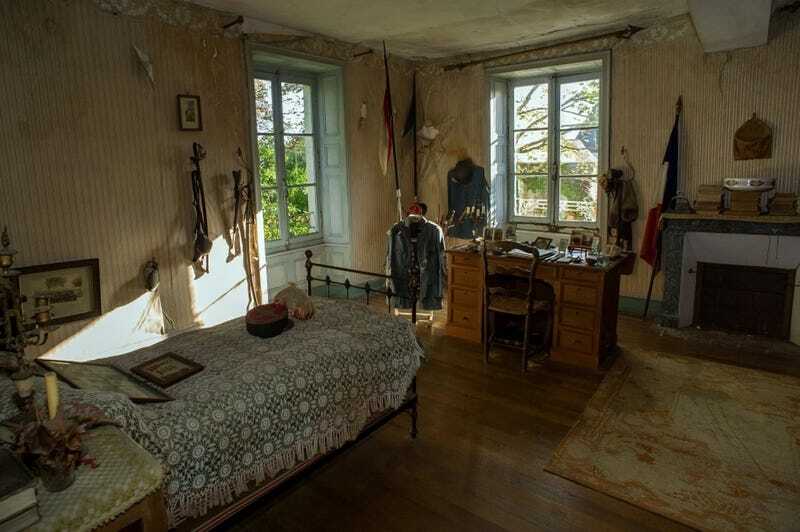 Here's one for the history buffs: the Washington Post has some gorgeous, poignant, frozen-in-time photos of a room last occupied in 1918, by a 22-year-old soldier who died in World War I. The grieving parents of Dragoons officer Hubert Rochereau decided to keep his room in small Bélâbre, France exactly as he'd left it. When they sold the house, it was under the condition that "the room should not be changed for 500 years." Though this request can't be legally enforced, subsequent owners have kept the "mummified room" in pristine, historically accurate condition. Now, the mayor of Bélâbre is hoping to keep it that way by finding a benefactor to care for it. "When you walk into it it's as if time has stood still," Laurent Laroche explained to the Guardian. "Our little village is being spoken about the world over, which makes me proud to be mayor. And maybe it will help us find long-lost Rochereau relatives and save the room. It would be a great pity for it to be lost to future generations." Images via the Washington Post.